The recent flooding disaster affected not only residents but businesses as well. It’s a month on and a number of downtown businesses are still evacuated from their premises. Some will be able to return sometime during the summer once restoration work is done but others have a tougher and longer wait – with the worry that some of these buildings might have to be destroyed. This creates a lot of anxiety and hardship because most businesses cannot go 3 months of interruption and still survive. 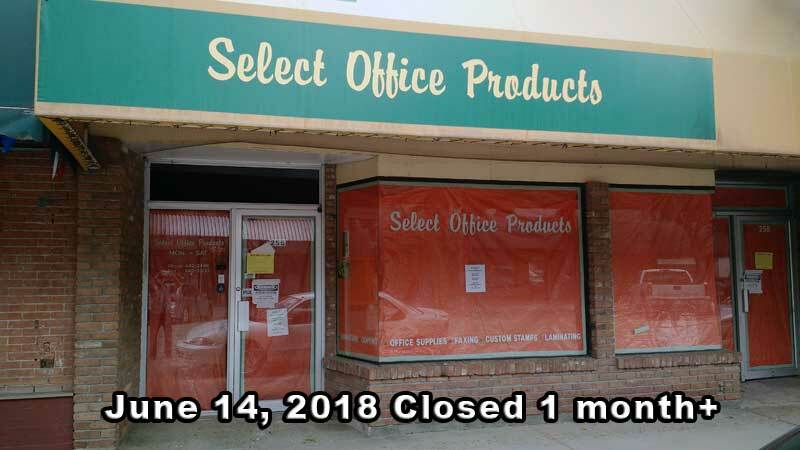 So what can the business owners expect to happen? And what can the community do to help prevent losses and facilitate recovery? 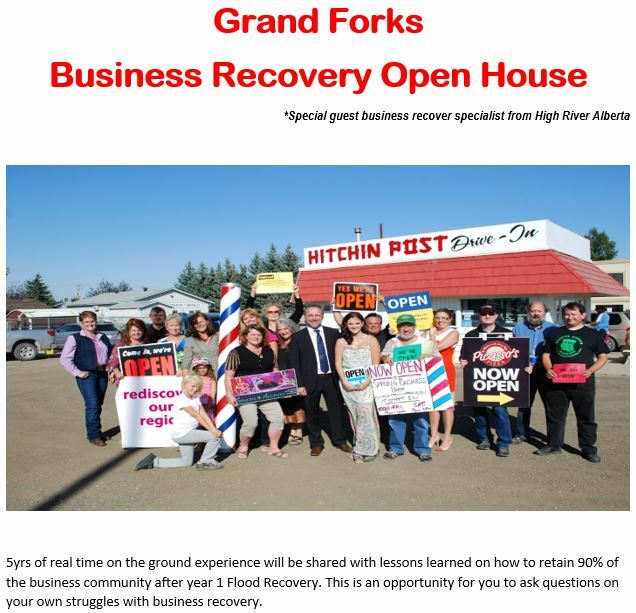 It turns out that people here in Grand Forks have connections that lead to people who were part of the team that got High River, and its business community, back from its historic flood disaster 5 years ago. In their case over a thousand businesses had to be evacuated among the myriad of other issues facing them. But they persevered and as a result High River has been able to recover and be stronger (and better protected) than before. Angela also has extensive experience in Business and Economic Disaster Recovery. She was on the ground through all phases of recovery experience combined with professional education to assist local businesses to recover and rebuild after natural or manmade disasters. Some of her projects include; building Canada’s first temporary business park to house businesses that lost their storefronts to the 2013 flood; transitioning the businesses through the phases of recovery. She was then called to share her expertise in partnership with EDA and Red cross to assist in the initial stages of business recovery during the Fort McMurray fire. Angela is a facilitator for the International Economic Development “restore your economy” training. Angela currently is working with the Puerto Rico Economic Development Director on business recovery and contracts to the Town of High River on the last phase of recovery. Todd Williams was the Project Manager for all these projects and grants related to rebuilding and renewing the business community of High River. They were able to change their schedule to visit Grand Forks and see for themselves the situation. They talked with some of the people in affected businesses, made connections with the local government and business support groups. The Boundary country Regional Chamber of Commerce hosted this Open House for business owners so they could hear what Angela and Todd had to say and ask questions. 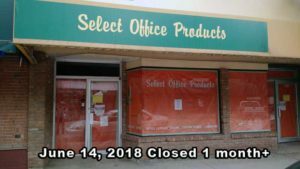 This entry was posted in Rebuilding Renewal, Visitors of Note and tagged Angela Groeneveld, BCRCC, business, disaster, flood2018, High River, rebuilding, recovery, Todd Williams on June 15, 2018 by gftvboss.